It was back in 1995, when I built my first website (in notepad, from scratch). Since then, I’ve never been far from working with websites in one capacity or another but below are some other bullet points on my timeline – so far. Here’s a list of the main career points to date. First commercial radio presenting job at Q96 in Paisley 1992. Co-founded a music magazine Bigwig in the 90s. 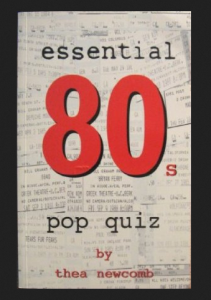 Wrote and published an 80s music trivia book ’98. Worked as a copy editor & web designer, and later went on to launch soyouvebeendumped.com on July 4, 2000. Became a customer service manager – then morphed into the digital content manager at NSDesign. Started delivering training for them in Business Gateway – Renfrewshire and West Dunbartonshire. Then to HIE. A sort of Social Media Trainer for hire, (or a “supply teacher”), deliver training on behalf of Postable Ltd and Lesley Wood’s LMW Consulting – to name just two! Speaker at Business Gateway’s Women in Business – WIB (March 2014). Social Media Trainer Glasgow Chamber of Commerce (various dates). Finally on November 1, 2014, began selling 3D Fiber Lash Mascara and more when I became a Younique Presenter & Sponsor in Glasgow Scotland! Am slowly building a global team of Youniques and I love it! Trained to degree level in Broadcasting (Communications), I presented weekly radio shows on Q96, ScotFM, L107 on most recently on Radio Six International (radiosix.com). Also been an occasional contributor to radio shows like BBC Radio Scotland’s Mac & Co and Call Kaye, and have made appearances on STV’s Scotland Tonight show. I would have to say that RADIO is my joy…in particular new music shows. Finally, I’d say I am super passionate about music – particularly Indie and Acoustic, but a lover all sorts of music. Love tracking down New Music on Amazon , on Soundcloud and Itunes too! There are over 42000 songs in my Amazon Cloud – with new songs being added daily.